I watched this last night, and thoroughly enjoyed. Beautifully shot, and with interesting interviews, the only thing that let it down was a very annoying and factually nonsensical voiceover/naration. 1) Referring to Soctland as a "small country". I know that's how a lot of foreigners perceive it, but actually it's second biggest in the UK, and almost the size of Portugal. 2) Referring to "Scotland's uniqueness within the natural realm of the four countries of the British Isles". He probably meant "UK", because there were five countries in the British Isles last time I counted. Maybe I was a bit pedantic in these points, but I subsequently found myself being highly sceptical of all other "facts" relating the wildcats, presented by the voiceover, as I was not in a position to verify. 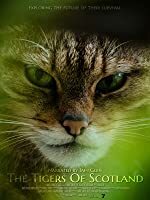 On balance though, do watch it, lovely camera work. The voiceover might not annoy everybody and if it does, there's always the mute button. 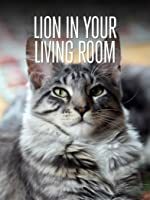 I see that The Lion In Your Living Room has also been added to Prime free to watch.